1. 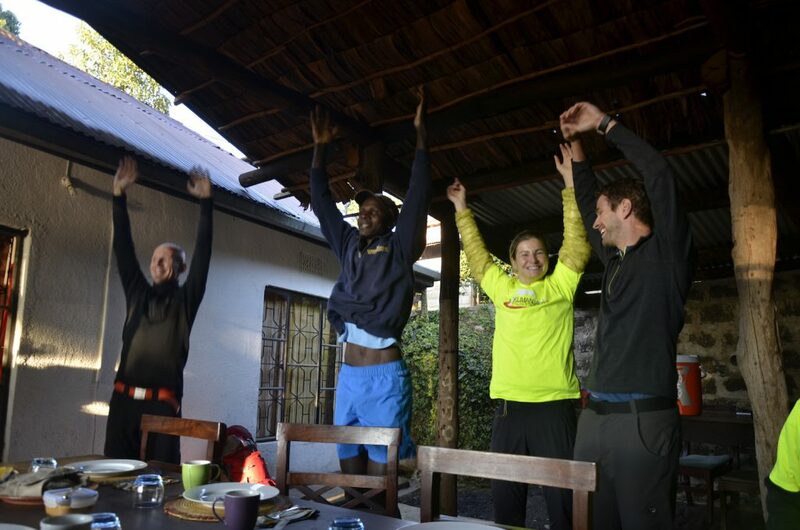 When the runners first meet at the Mbahe Farm Cottages. 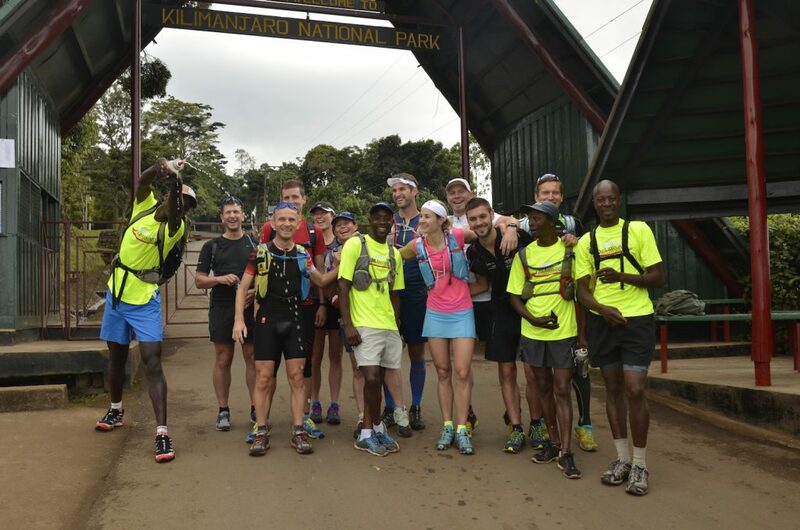 After trickling in to Tanzania on long flights originating from all corners of the world, runners arrive at Mbahe at different times where they meet Simon, the KSR support team, and each other. Here they start to learn each other’s stories, motivations, and goals as they excitedly anticipate the adventures to come. 2. When Simon improvised stretching movement before the first breakfast. 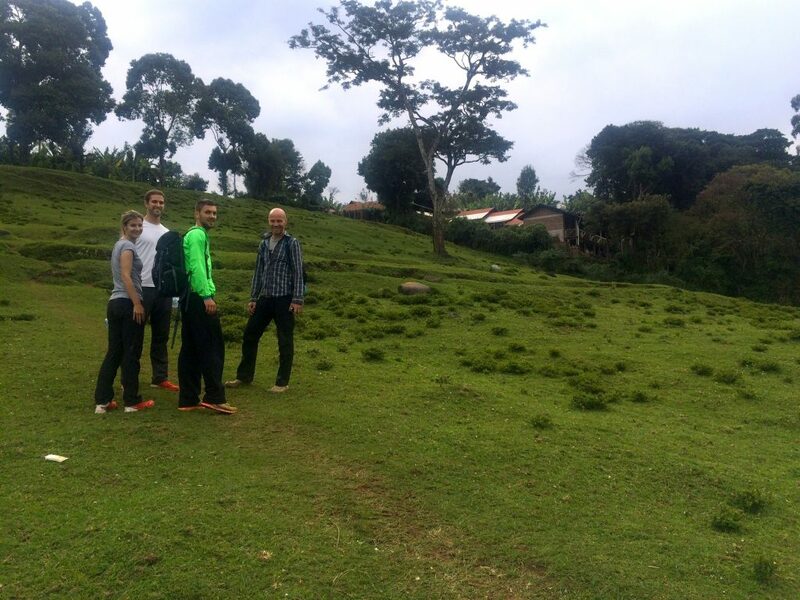 The group all went for an early brief run around Mbahe Farm. When they return, the table is set and breakfast is ready. But before sitting down, Simon starts with a few stretching yoga poses. After a few embarrassing laughs everyone follows his lead and joins the activity! 3. When runners arrived at the starting point for the 8 days running! From the Mbahe Farm cottages it takes 20 minutes to reach the Marangu Gate, where the run begins. The Tanzanians milling about are surprised to see this bunch preparing to run (and not climb up!) 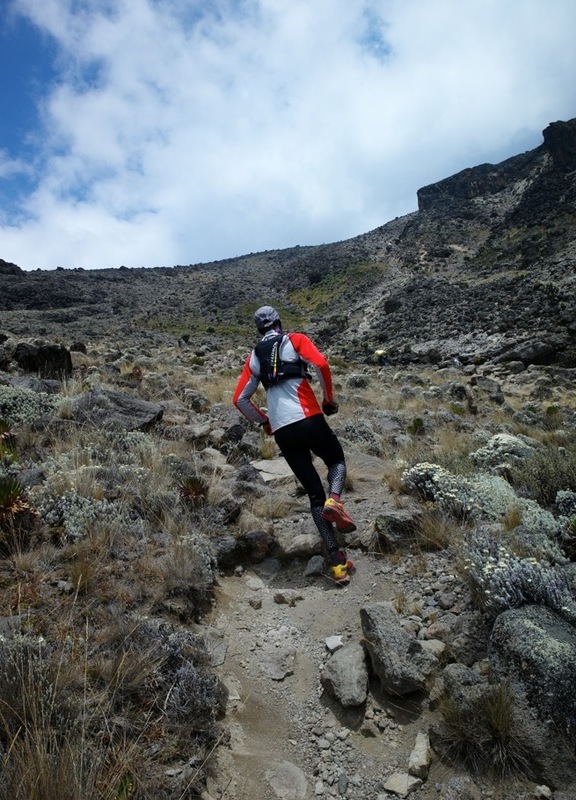 and are curious about the idea of running 260km around Mount Kilimanjaro. 4. When the Czech runner pulls out from her pack a tiny Nutella container. 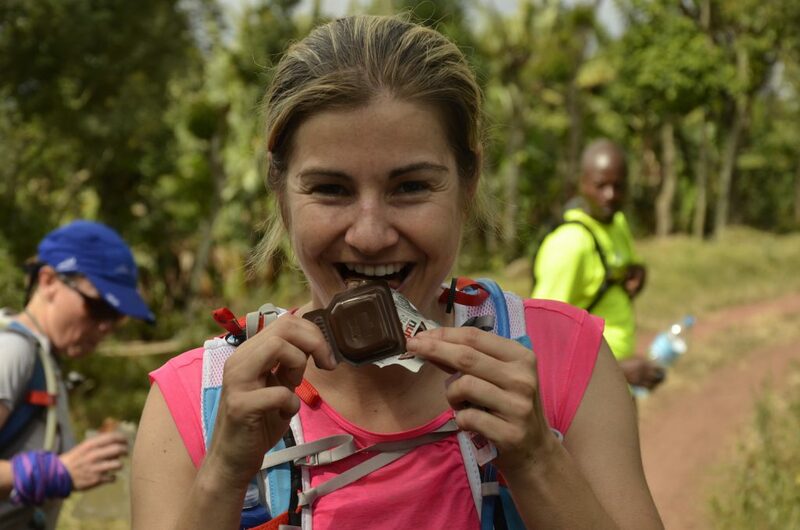 For Svatka, it is her secret ingredient to restore her energy after a hard day’s run … or maybe she is just a Nutella lover making excuses for a special treat! 5. When hundreds of kids are heard singing in the early morning. Each school day Tanzanian students gather outside their classrooms to sing the national anthem before starting the school day. The runners enjoyed this unexpected chorus on more than one warm and sunny morning while having their breakfast. 6. When the clouds parted and the Roof of Africa finally appeared above! 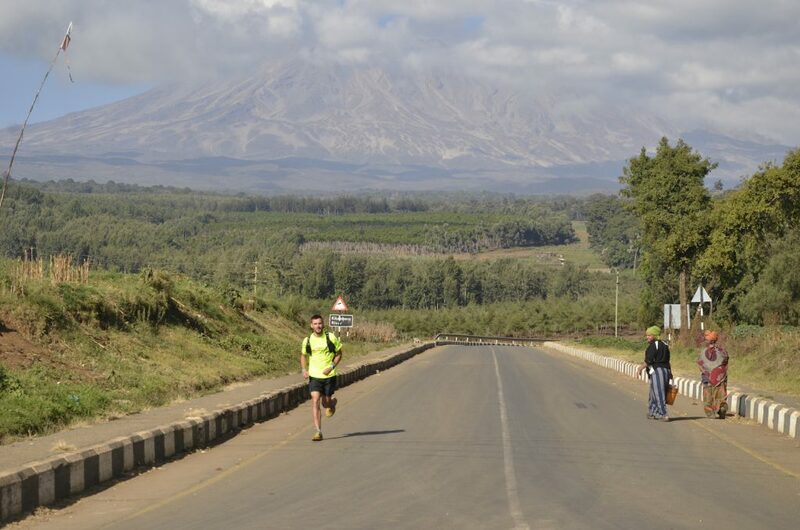 Runners have quickly discovered that Kilimanjaro’s majestic snow-capped peak appears only at its whim! 7. When Simon bought jewelry from two young Maasai girls. While runners were taking a break on the remote northern side of the mountain, two young ladies passed through the group and start a show with Simon. All three were animatedly talking Swahili, then showing him their machete and their dancing and jumping skills, before eventually managing to sell him a necklace! 8. When Trevor organized an impromptu yoga class at Simba Farm. 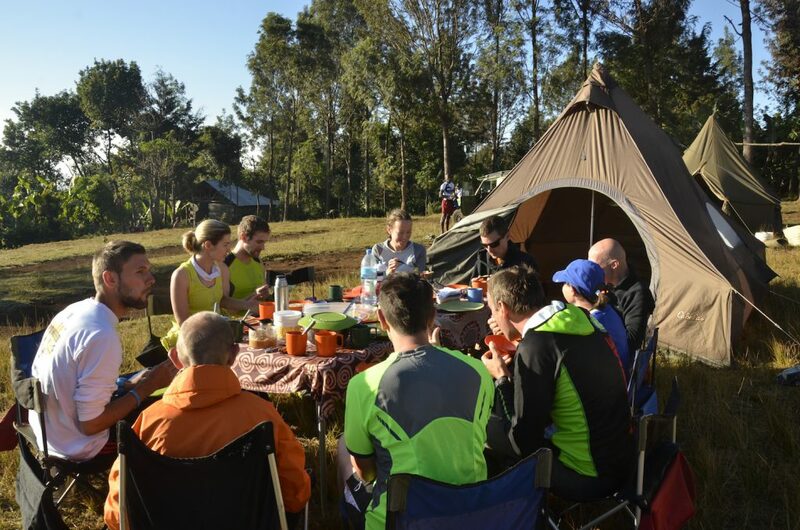 On day four, the group stays at Simba Farm – an original European farm in West Kilimanjaro and perfect place to rest before the last 4 days of the run. As a yoga instructor, Trevor offered the KSR athletes an hour yoga session to stretch their aching muscles and relax their minds. 9. 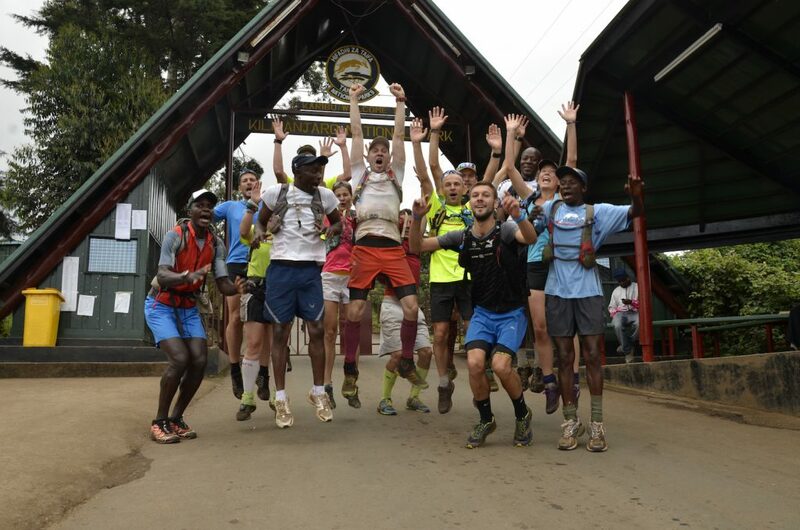 When runners arrived at the Marangu gate after 8 days running. After 260km, the runners finally returned to their starting point after encircling the whole mountain on foot, thus putting a joyous end to the amazing and challenging adventure. 10. When everyone celebrated by jumping into the Monjo River. It’s a tradition! 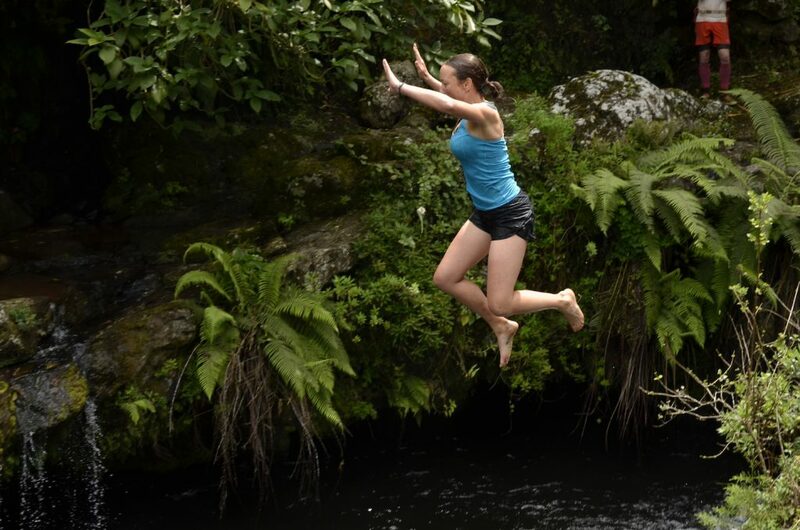 After completing the KSR and before returning to Mbahe Farm, Simon, the international athletes, and the Tanzanian running guides all stop at the river below the cottages and jump into the refreshing mountain stream!